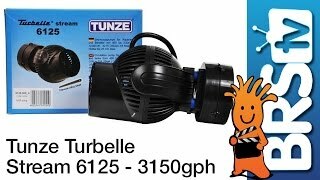 I've been using Tunze powerheads for several years now and got the Turbelle Stream 6125 for my 150 gallon fowlr tank. The 6125 itself is a bit big in size, but it blends well with my blackground and really isn't even noticeable in the tank. The flow is awesome and reaches all the way across the 5-foot length of my tank in a generally wide pattern. I have the 6125 flowing into a random flow generator return nozzle and this creates nice random flow within the tank. Also, I think the ability to point the Tunze's flow in any desired direction makes these superior to most other competitors. Plus the 6125 and all other Tunzes I have have been quiet and super reliable. 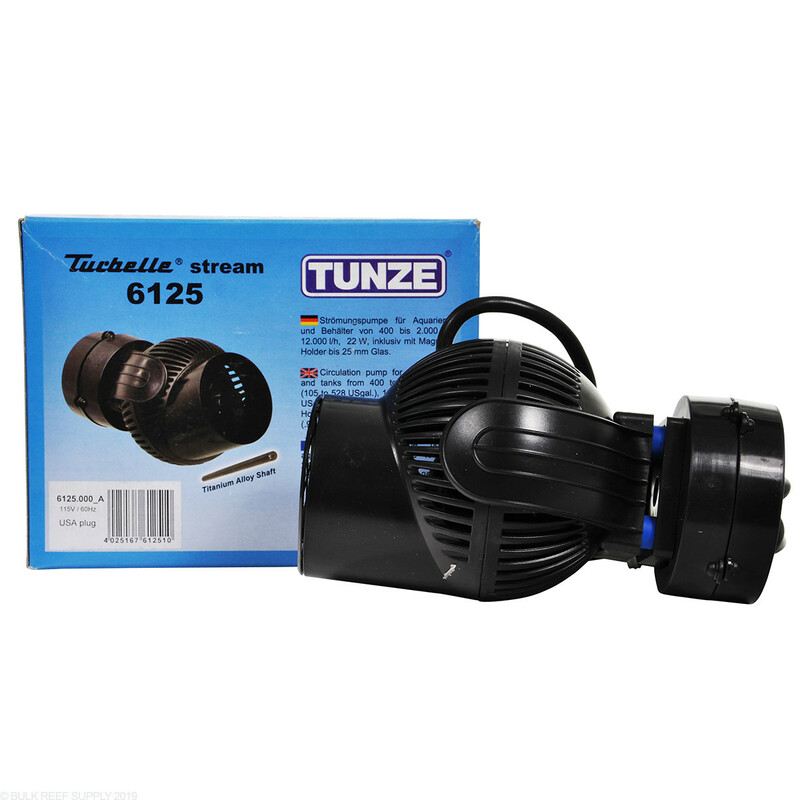 I give the 6125 4stars really only because of the size, but I am very very happy and satisfied with this Tunze product and may add 1 or 2 Tunzes to this tank in the future. 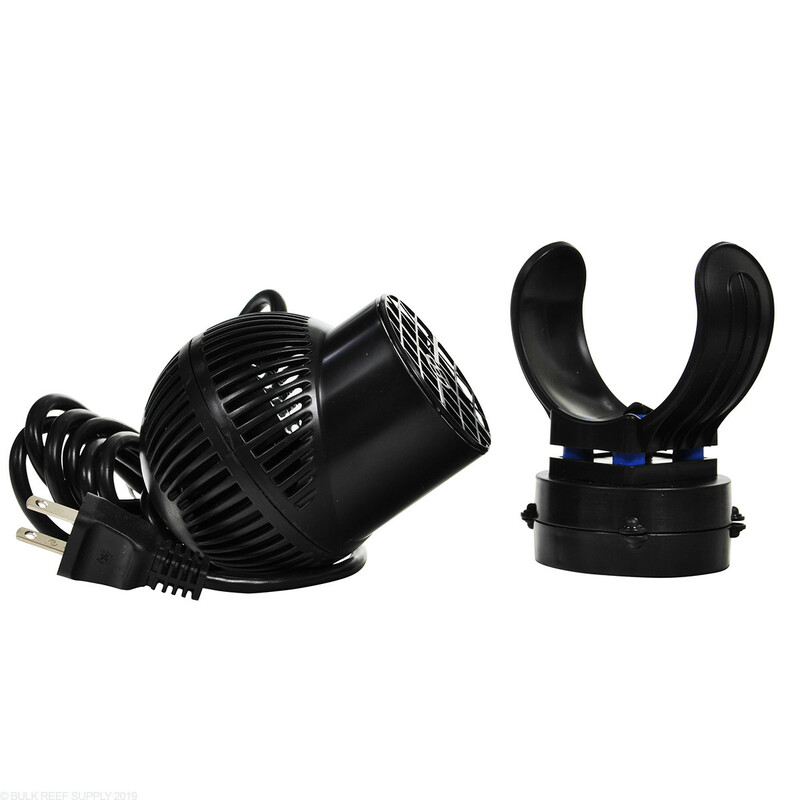 This powerhead is def worht the $$ becasue It blows krollia out of the water by far, but don't get me wrong they are nice. 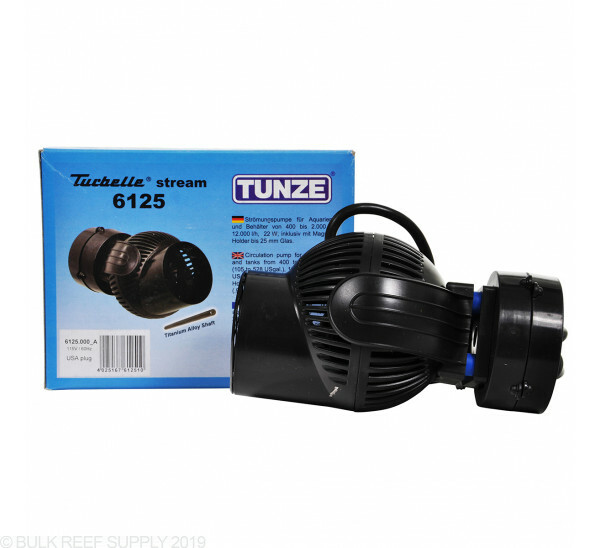 This pump is very quiet and I have it in my 90 mixed reef and I have no need to adjust where I want my flow do to the new nozzel wide spread flow. it gets the front just as good as the front all away around. 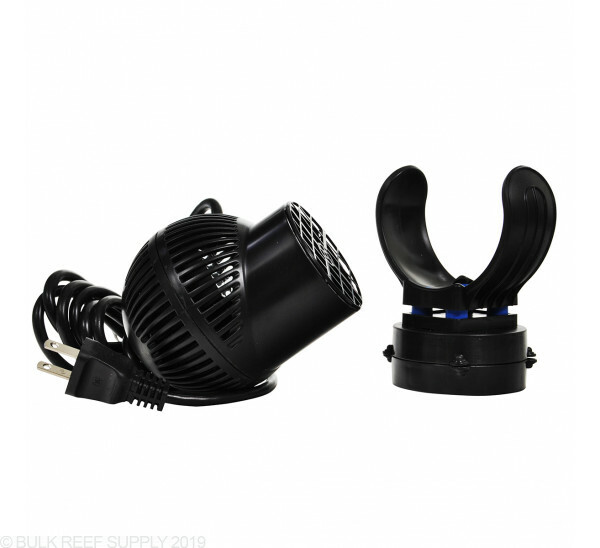 personally I think just this pump alown would be fine for mixed reef, but since I like to go to the extream I like to add a little more flow, but I went Tunze all the way.!!! !